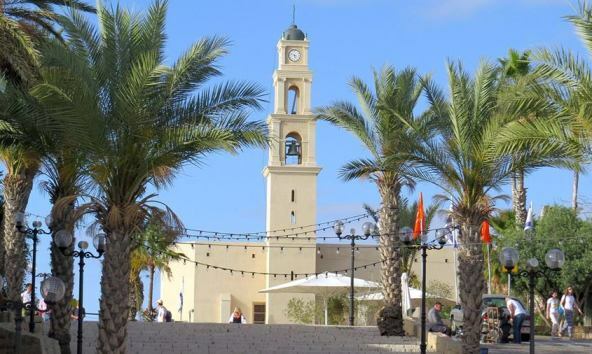 You will love wandering around Jaffa’s winding alleyways interspersed with art galleries, historic stone buildings, mosques and churches, the Jaffa Flea Market (Shuk Hapishpishim) and the Jaffa Port. 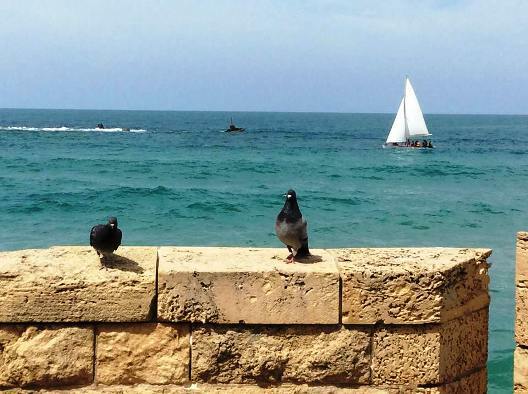 If your time is short, consider a this private tour of Jaffa and Tel Aviv in a nutshell. The fascinating tour is great value and you will love Levi's enthusiasm and knowledge. 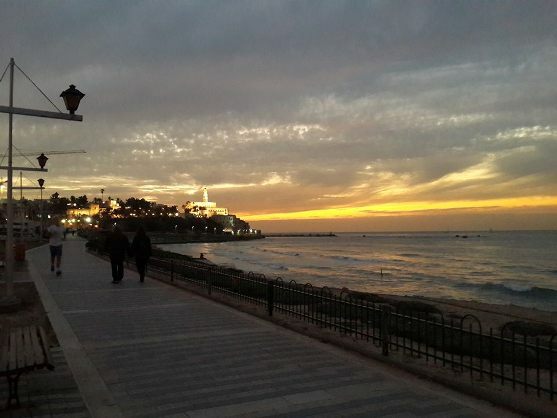 So what to see in Jaffa Israel? You can read through the page to read about what to see in Old Jaffa Tel Aviv, or click on the link that interests you. 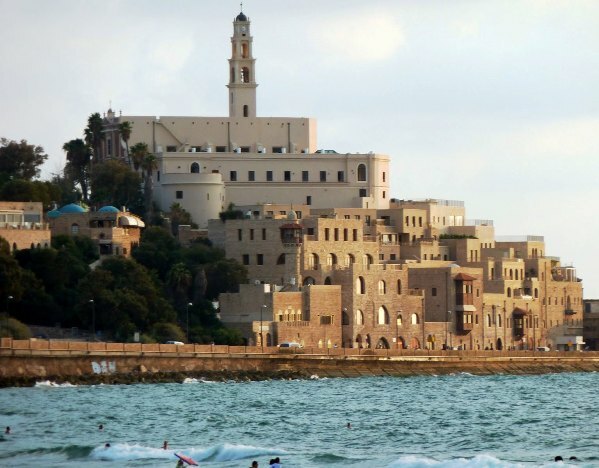 Jaffa, or Yafo in Hebrew, is one of Israel’s most ancient cities inhabited 7,500 years ago! Can you guess what Biblical figure Jaffa is named after? Hint – it sounds like ‘Jaffa’…Legend has it that the city was named in honor of its original founder, Japhet - one of Noah’s 3 sons who founded the city after escaping from the flood. Jaffa is one of the most ancient port cities in the world. 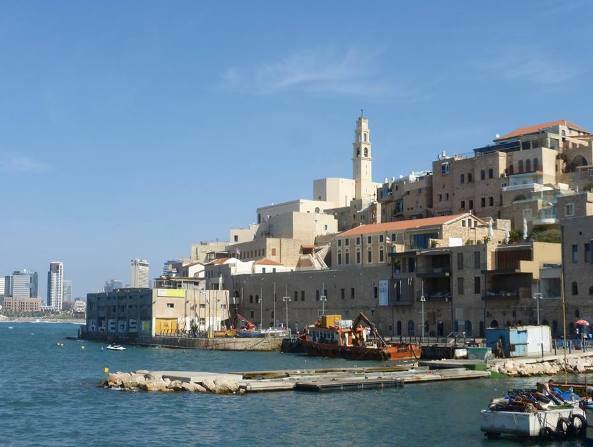 Perched on top of a hill overlooking the Mediterranean Sea with a natural harbor and fertile soil, ancient Jaffa was a strategic prize. It was conquered and reconquered countless times by Canaanites, Phoenicians, the Pharaohs, King David, the Assyrians and more. Read more about the fascinating and turbulent history of Jaffa in our page on the history of Tel Aviv. The ancient Jaffa Port is still an active fishing port. 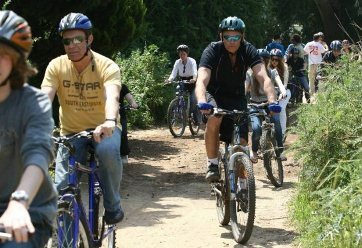 Stroll or bike around and discover its unique mix of old and new. 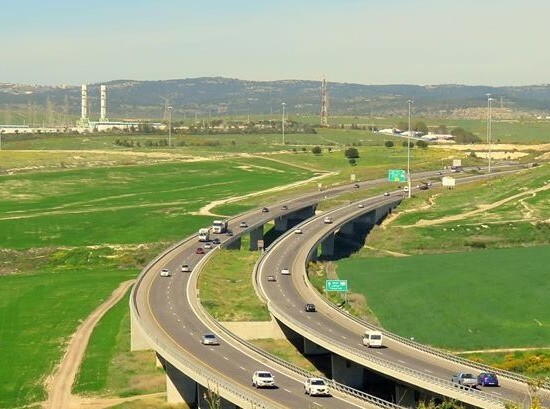 For more information, visit our page on Jaffa Port. Looking straight out to the Sea right beyond Jaffa Port, you can see Andromeda’s Rocks. According to Greek mythology, the hero Perseus on his winged horse saved the King’s daughter Andromeda from a sea -monstor on these very same rocks. 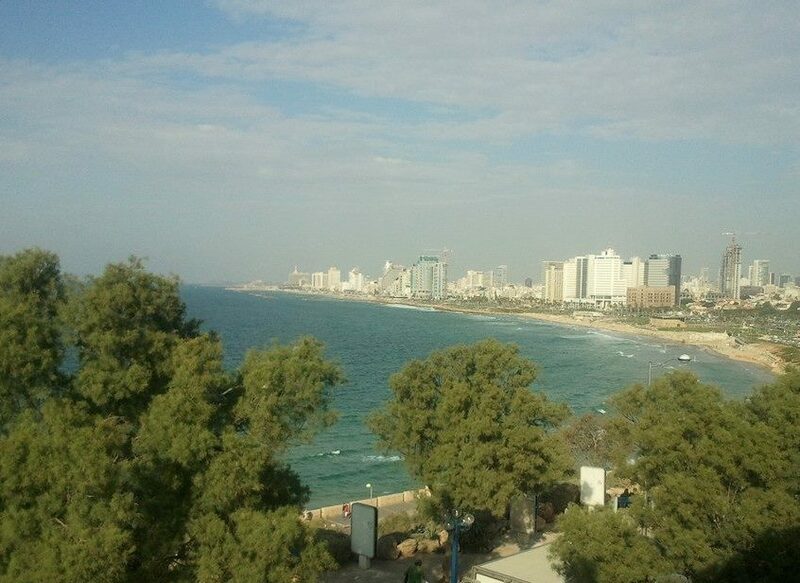 The Jaffa Watchtower - on the northern corner of Yefet and Raziel Streets is a Tel Aviv icon. You can climb from within. It was built in 1906 in honor of the Turkish Sultan Al-Hamid’s 25th year in power. Since antiquity, ancient Jaffa was surrounded by city walls which were closed at sundown for protection. 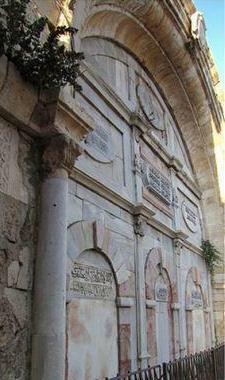 Yefet Sreet was built along the eastern wall of the city. You can see remnants of the city walls as you walk. The city walls were continually destroyed and rebuilt by the different rulers of Israel and Jaffa until an earthquake in 1836 destroyed most of the walls, which were never rebuilt. 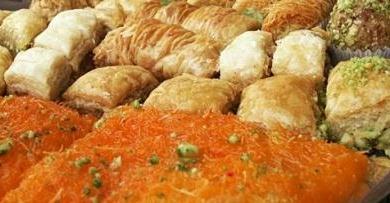 Abulafiya’s Bakery at 7 Yefet Street - is Tel Aviv’s landmark Arabic bakery since 1879! There is something for everyone. Plain, freshly baked pita bread and Arabic ‘bagels’, sweet Arabic pastries like baklava and knafeh... My personal favorite is salty cheese and spinach sambusak stuffed with a hardboiled egg. It’s a meal on its own and delicious! Telavivians flock here in droves. After you turn right from Yefet Street to Russlan Street, you'll hit the Jaffa Mosque and the Fountain. If it is open, do visit the attractive prayer rooms and courtyard inside of the Great Jaffa Mosque, or Mahmoudia Mosque. It was restored in 1820 by Mahmoud Abu-Nabut, the local Ottoman ruler who rebuilt Jaffa that we see today after Napoleon destroyed the city. Across the street are the remains of the great fountain or ‘Sabil’ that was used to quench the thirst of travelers and camel caravans. “Nabut’ means club. Abu Nabut was known for ruling Jaffa with an ‘iron fist’. He quite literally clubbed people that annoyed him! The Jaffa Park is on the hilltop is where the ancient city of Jaffa in Israel was located. 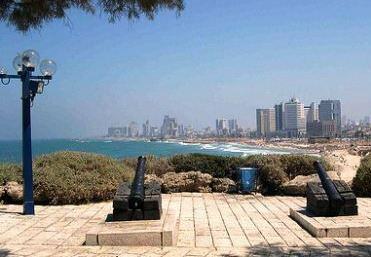 Kids will enjoy the iron cannons left from when Napoleon conquered Jaffa in 1799. All along the hilltop are archeological ruins of ancient Jaffa as far back Egyptian remains from 3500 years. You can walk along the park and gardens, amid archaeological remains which are all marked with descriptions in English. On a clear day, from Gan HaPisga (Peak Garden), you can see all of Tel Aviv, almost as far as to Haifa in the north. 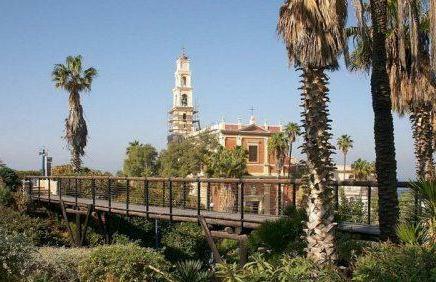 Kids will also enjoy the Wishing Bridge, between the Jaffa hilltop and Kedumim Square. At the entrance to the bridge is a beautiful stone mosaic depicting the 12 astrological signs. The bridge is built at the location of an old fountain that was considered a wishing well according to local legend. If you hold on your zodiac sign and make a wish, it is supposed to come true. Just nearby is the Zodiac Fountain - the sculpture was designed by Jaffa artists. On the hilltop is a beautiful white statue sculpted resembling a gate. This Daniel Kafri gateway sculpture portrays 3 biblical stories about God promising the land of Israel to Abraham and Isaac, to Jacob and to Joshua. 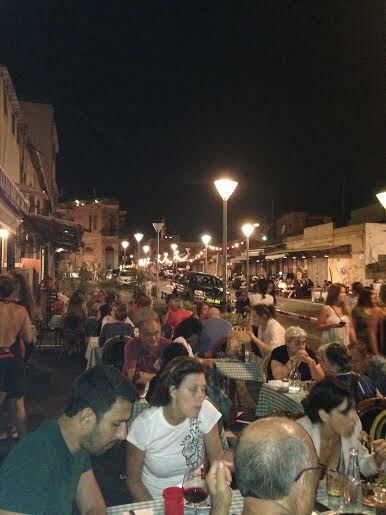 When you stroll around Jaffa - do get off on the main streets! Part of the fun of old Jaffa Israel is exploring its winding streets and alleyways. Just near the Mahmoudia Mosque is Alley 3029 which turns into Money Changers’ Alley (Simtat HaHalfanim). Rumor has it that the sailors from all over the world who arrived at Jaffa Port changed their money here to pay for the prostitutes who serviced the sailors. 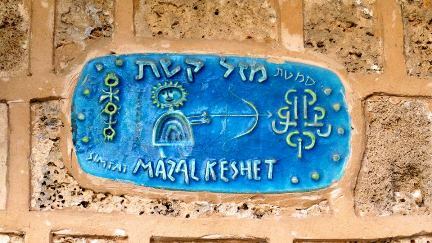 Just below is a signpost for an alleyway called Mazal Keshet - or Sagittarius Alleyway. This is one of the 12 alleyways leading from Kedumim Square to the Jaffa Port. Each one is named for the signs of the Zodiac. 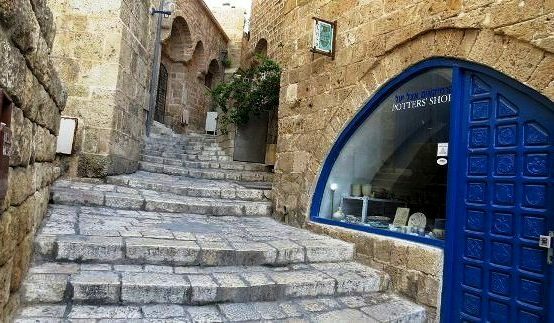 Today, some of Israel’s leading artists live in these alleys and you can browse the many art galleries. Sounds interesting? 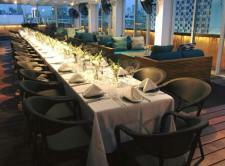 Visit our page on best Tel Aviv Israel Art Galleries. Shuk Hapishpishim) is an outdoor flea market in Jaffa Israel. It's open all week, except Saturdays and public holidays. During the day, you can browse around, trying on new or second hand clothes, furniture and trinkets. 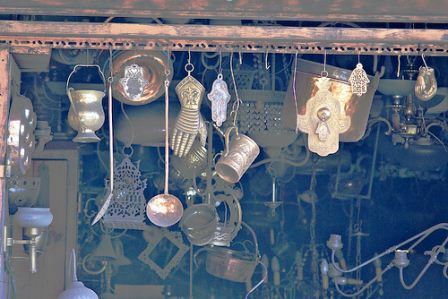 The flea market is a fun place to buy interesting and cheap souvenirs and gifts. 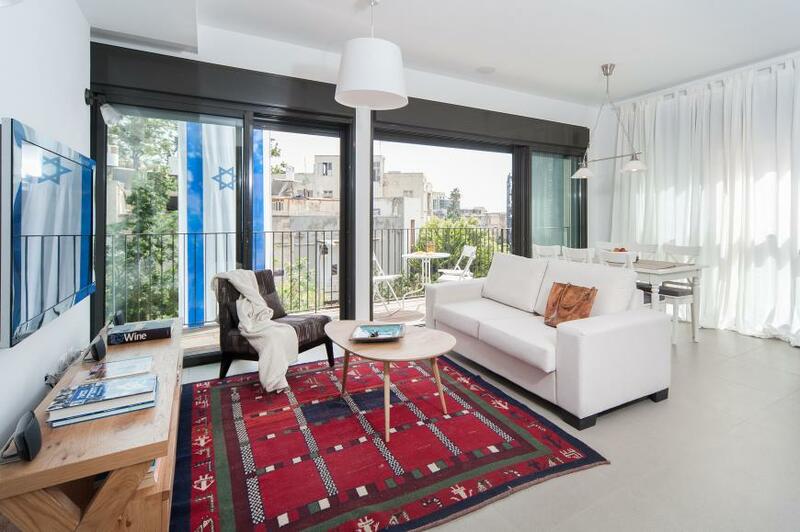 For more ideas, visit our page on the Tel Aviv Shopping. 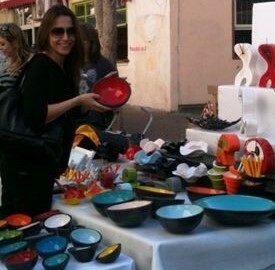 The Jaffa Flea market has become quite trendy and is full of bars, restaurants and boutique art galleries. 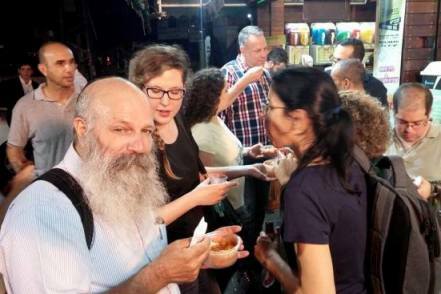 The streets, eateries and local bars in the area are packed with Israelis and tourists having a good time. Evenings between April and November is the perfect time to visit. Don't be surprised to see lots of families and kids too. 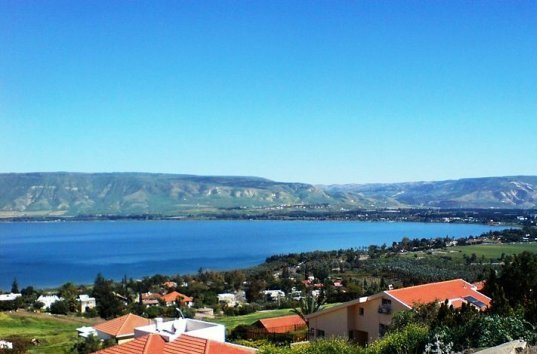 During summer vacations, Israeli parents allow their kids go to sleep very late! 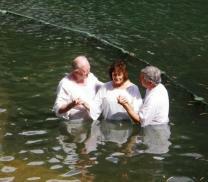 Christian Pilgrims have come to Jaffa for thousands of years. 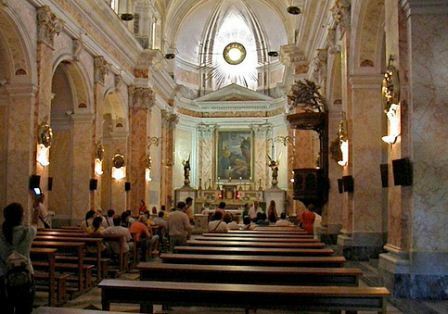 St. Peters Franciscan Church commemorates St. Peter’s stay in Jaffa and the miracle he wrought in the house of Simon. The interior of the Franciscan Church is quite beautiful. 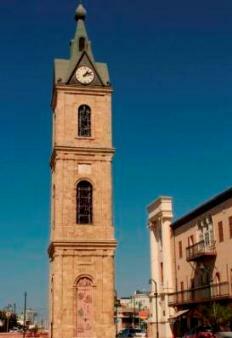 Its church bell tower overlooks the sea and is an icon of Jaffa Israel. Like in Jaffa and all over Israel, the church is built on top of layers of former churches. The original Byzantine church was built in the 7th century, rebuilt by Lthe Crusaders in the 1200s, destroyed by the Turkish Mamluks, and so on… The current structure was rebuilt in 1888. The Franciscan Church of St. Peter is open every day, Monday to Saturday from 8 AM to 11:45 AM and 3 – 5 PM and on Sundays from 3 to 7 PM. 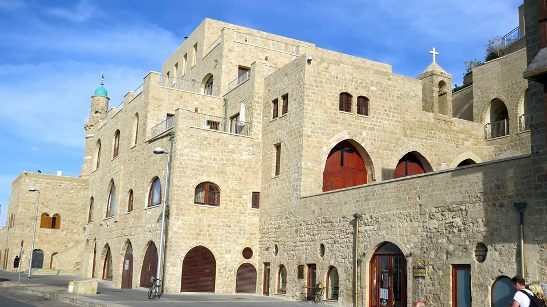 You can also explore the Armenian St. Nicholas Monastary in Netiv Hamazalot Alley, which you can reach from Jaffa Port, just west of St Peter Church. 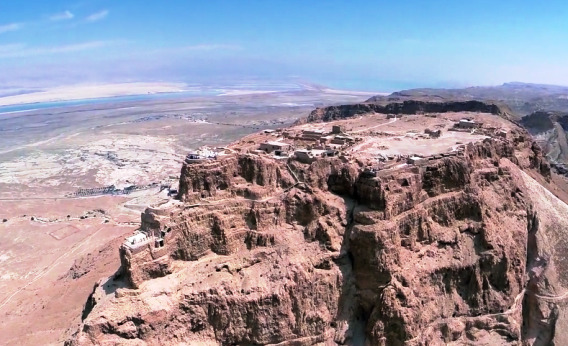 Armenians believe that this is the home of Simon the Tanner from the New Testament. Kedumim Square, 1 Mifratz Shlomo St.
Jaffa Tales is a fun, interactive ‘virtual’ trip to through Jaffa’s history. You walk amid archaeological discoveries and ‘meet’ a cast of ‘virtual’ characters and artifacts from the past of Israel and Jaffa. Kids will enjoy it. 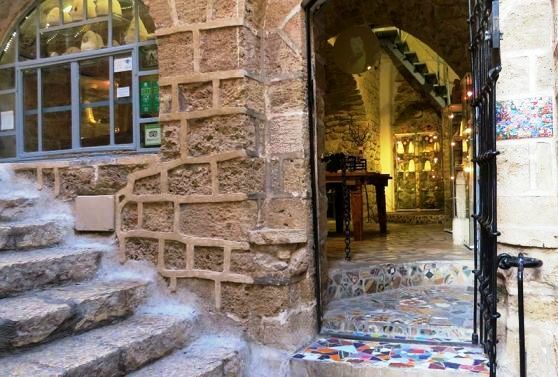 Jaffa Tales is open every day from 9 AM to 5 PM and during the summer (March to November) until 8 PM. On Fridays the Visitors Center closes earlier: 3 PM in the winter, 5 PM in the summer.